This afternoon I had a chance to listen in on Jim Manning’s discussion of eMolt at the forum. A diverse audience of 20+ fishermen, scientists, technologists, and managers attended. The eMOLT program has grown from a small collaboration with lobstermen to a wide array of collaborative projects with various industry sectors, educational programs, and scientists. Jim provided an overview of the various projects and asked collaborators to discuss their perspectives. The value of collaborative research and data collection was discussed at length and numerous ideas were developed for improvements to current projects and new projects that would be worth pursuing. Emolt bottom temperature data site showing readings for the last 72 hours. Each pin is a different vessel. When Cynthie Noel and her boyfriend Cyrus Antoine went for a ride in his truck to LaTitasse Beach on the Atlantic side of St. Lucia, neither expected to find a mysterious blue glass bottle with a message inside. 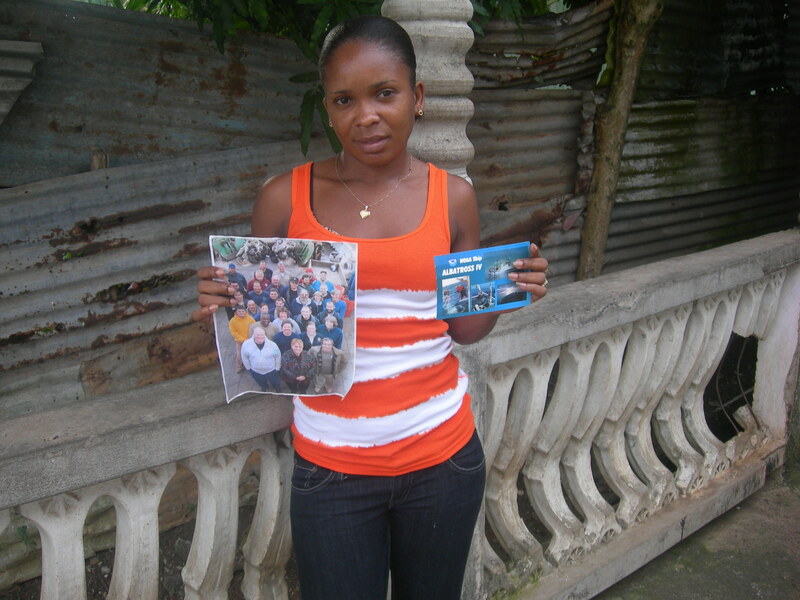 When Cyrus broke open the bottle, they found a postcard and picture from the crew members of NOAA ship Albatross IV. Cynthie Noel with the found contents of a bottle launched from the NOAA ship Albatross IV. TK Arbosto puts a note and photo in a bottle hoping it will be found by some new contact on shore. 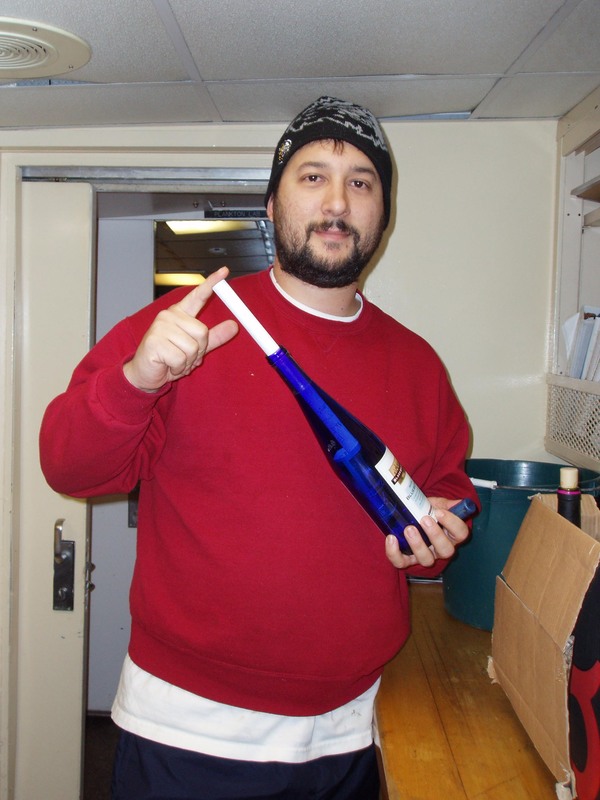 This bottle was one of 32 that had be launched on the final voyage of NOAA’s research vessel, the Albatross IV. Earlier, one of these bottles was found in the Azores; you can read that story here. Stay tuned as we see how many connections we can make with people all across the globe!